Unless you’ve been lost at sea for the past couple of months, you realize that the world has taken a particularly nautical turn. The 100th anniversary of the sinking of the Titanic is upon us, and everybody from James Cameron to Julian Fellowes is cashing in. Titanic stories are sharing website billing with Brooklyn Decker’s new look and the latest Tweets from Lady Gaga. There are documentaries, books, a miniseries (or two) a couple of “mystery solved” productions (What mystery?) and a 3-D re-release, just to round out the wall-to-wall coverage. Like Woodstock and Wilt Chamberlain’s 100 point night against the New York Knicks in ’62, everybody is digging up their particular connection to this moment in history. 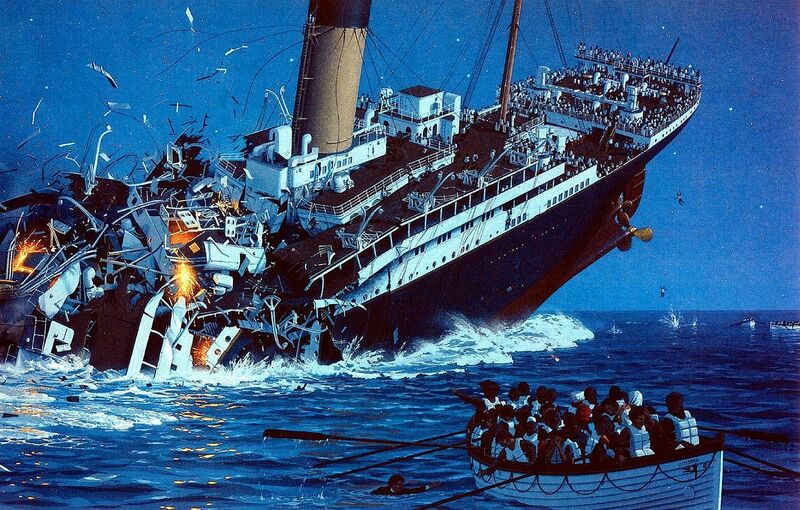 Our fascination with the tragedy of the Titanic has been around since Jack Phillips tapped out the last SOS from Titanic’s radio room on April 14th, 1912. In actual fact, as the radio records clearly show, Phillips used the older CQD distress call throughout the night; the SOS story came later. This is only one of the many myths surrounding the Titanic. There are tons more. That’s part of what feeds our fascination. People tend to mythologize tragedy to make it more palatable: to give it humanity and separate it from random slaughter. The voyage and eventual destruction of the Titanic is ready-made for the tales people tell. It’s a classic snobs vs slobs fable; the only thing missing is an unlikely love story and James Cameron supplied that. But far be it from me to dispel the legacy of a legend; the media myth makers have been doing that for more than a month. These days, Titanic experts are ten a penny, and by the close of business Sunday, no one from the ship’s designer to the guy who poured the after-dinner drinks will have escaped their gaze — with mixed historical results. So, rather than trying to see through the mystique called Titanic, let me add to it. Under the heading “believe it or don’t” there’s a weird case of coincidence surrounding the Titanic. In 1898, Morgan Robertson published a book called Futility, or the Wreck of the Titan. The story itself is one of those overblown Victorian tales of redemption. The hero, John Rowland, is a disgraced naval officer who, through a series of adventures, rebuilds his life and reputation. It’s simple 19th century pap, read by old men and schoolboys and quickly forgotten — except for one thing. Robertson’s literary device that triggers Rowland’s rejuvenation is a luxur y ocean liner called Titan which hits an iceberg in the North Atlantic and sinks. In Robertson’s 1898 book, the Titan is the world’s largest luxury ocean liner, on a voyage across the Atlantic. He describes it as 800 feet long with a displacement of 45,000 tons and a top speed of 25 knots. The voyage is uneventful until one dark night in April, approximately 400 miles west of Newfoundland, the ship collides with an iceberg on its starboard side. Within minutes, all is lost and the captain orders the crew to abandon ship. 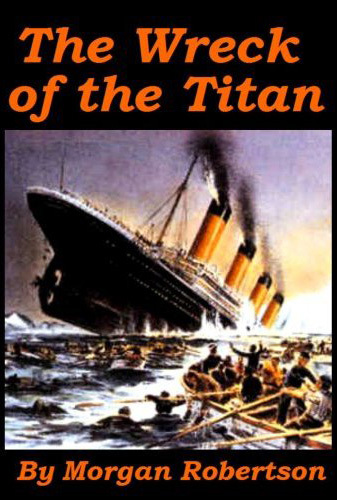 Unfortunately, the Titan was considered “unsinkable” by its designers and builders, and there aren’t enough lifeboats. As a result, before help can reach them, nearly half of the ship’s 2,500 passengers drown in the freezing North Atlantic waters. If any of this sounds familiar, it should: it’s a fictional carbon copy of the factual Titanic’s story. The kicker is Robertson wrote it fourteen years before the Titanic cleared dry dock. There is no rational explanation for Robertson’s story. However, one nerdy night at a Sci-fi convention in Portland, Oregon, I was told Robertson could have been a time traveller looking to make a few bucks on the side. (Reasonable as anything else, I guess.) My point is Robertson’s novella is just another part of the Titanic legend. It ranks up there with the ship’s band playing “Nearer, My God, to Thee” as the Titanic sank beneath the waves. They did play but only until the increasing tilt of the sinking ship made it impossible to stand on her decks. 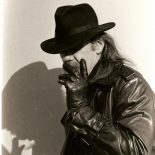 One of the most famous stories is about John Jacob Astor IV, who put his pregnant wife into a lifeboat, casually asked the crewman for the number, and then wandered off to smoke a cigarette with mystery writer Jacques Futrelle. His body was later identified by the monogram sewn into his clothes. 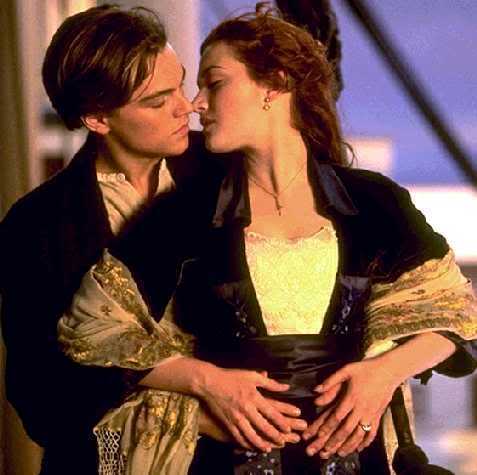 There is talk, as there has been for twenty years, of raising the Titanic. Personally, I think the recovered jewelry alone could pay for that little adventure. Someday we’ll have the technology to do it, but I don’t think we will. There are certain things that need to remain out of our reach; it’s better that way. 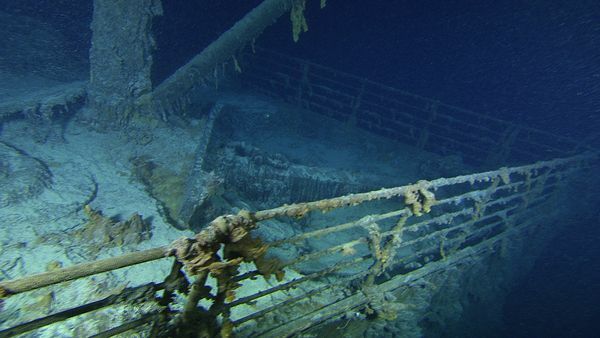 The dark waters of the North Atlantic may shroud the facts of what happened to RMS Titanic one hundred years ago, but they, too, are part of the legend. This entry was posted on April 13, 2012 by wdfyfe in History and tagged 100th anniversary of the Titanic, disasters at sea, North Atlantic, RMS Titanic, Titanic.